7 children accepted Jesus in our recent Gospel appeal. Links are strengthened with the local Kindergarten. 12 Mattersey Hall students prepare for their mission in March. Rachel and Vali are preparing for the UK trip. Preparation towards the launch and expansion into Tirana continues. We hope to inspire you this month by sharing about our strengthened links with the Kindergarten and our Gospel appeal at our Friday children’s outreach. You can also read about the faithfulness of one of our Shengjin children through Pranvera’s Story and find out how to get involved through our new missions opportunities section. Also check out what’s coming up in March at Shkendjie and discover our praise and pray points which outlines all the good things we have already witnessed, and all that which we hope to witness soon. 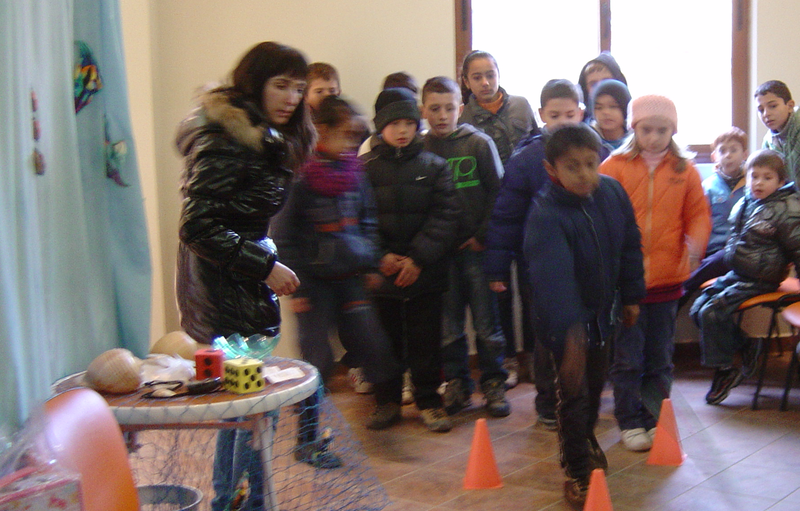 Since Chirstmas, Shpresa has been strengthening links between Shkëndijë and the local Shengjin Kindergarten. She goes to the Kindergarten once a month with a short moral message and some fun games. The children enjoyed this month’s love themed lessons and games. It is a wonderful opportunity for the younger children of Shengjin to be introduced to Shkëndijë, in preparation for them to come to our outreaches. It was so exciting last week to witness 7 children come to Christ, at our seasonal direct Gospel appeal! Thank the Lord! They will form a new discipleship group which Shpresa will run on Tuesdays. Also continuing in Shengjin are the three other Tuesday discipleship groups and the Wednesday young team Bible study. We were blessed to have the young team at the team house last week for fellowship and food (a winning combination!). It is fantastic to see these young people fired up for God and growing in their faith. The English Course continues with the students looking forward to practicing their English with some of the Mattersey Hall Mission group. We at Shkëndijë have been particularly impressed by ten year old Pranvera’s dedication to Jesus despite her difficult circumstances. Pranvera has been a regular attendee of our Friday meetings and our children’s discipleship group for two years, however, she still finds her freedom to follow Jesus challenged at home because she comes from a Muslim family. Recently we heard that Pranvera’s father had stopped her coming to our discipleship group because he could not accept her faith. Vali, her discipleship-group leader, investigated further and discovered that Pranvera’s father had ripped up her Bible and thrown it in the fire in front of her very eyes. He then also forbade Pranvera’s younger sister from coming to the Friday children’s outreaches. We prayed for Pranvera, and we were touched and encouraged to see Pranvera’s peers from her discipleship group praying for her difficult situation too. 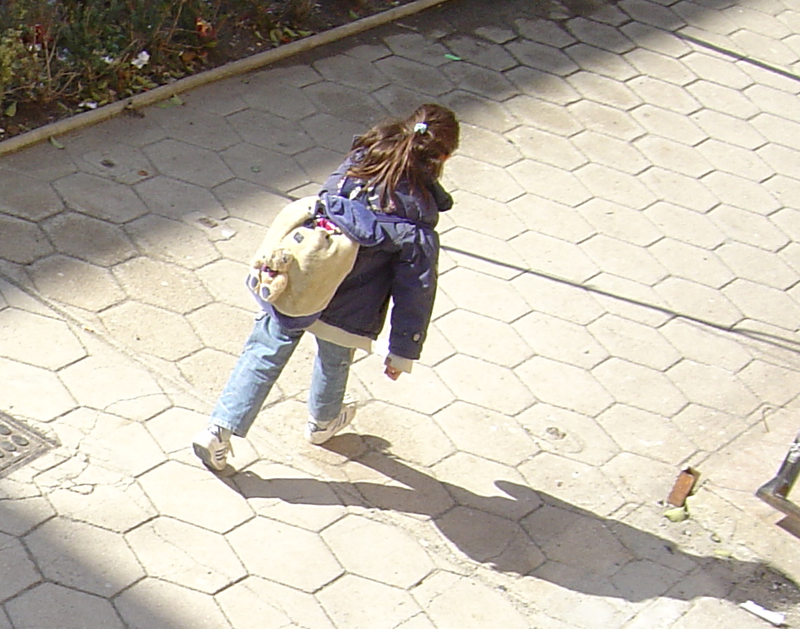 Not long after, Vali caught Pranvera on her way back from school. She offered her a new Bible which Pranvera took gratefully, saying she would keep it in her school bag, so her Father couldn’t destroy it while she was at school. Pranvera’s determination was moving; she began to read her Bible at school because she was afraid of the consequences of reading it at home. God continued to answer our prayers about Pranvera’s situation, as we learnt just a little while later that Pranvera’s father had ‘suddenly’ had a change of heart, and allowed both daughters to attend our Shkendije programmes as before. We thank God for displaying his grace in this situation, especially as it encouraged the other children in Pranvera’s discipleship group in the power of prayer. Are you looking to do something amazing this summer? Why not consider coming or bringing a team to Albania for one or all of these projects? Email us for further details at spark.albania@gmail.com! 7 children accepted the Lord this week and will now be placed in a discipleship group. Thank God that we are finally coming out of the winter which has been a tough one this year. Praise God that we continue to grow our relationship with Kindergarten in Shengjin and through this can also grow our relationship with these younger children. Please pray for Vali’s Visa interveiw next week at the British Embassy, to allow her to come to England to serve on the children’s team at Spring Harvest in April and to visit her supporters. Please pray that the Mother’s Day outreach in Shengjin leads to good evangelistic conversations with mums in this community, and the craft event is successful in inviting more children to our weekly Friday outreach. Please pray for the 12 Mattersey students, headed by Marcus Wichmann as they prepare for their mission in March and for the success of this mission. Thank you for your continued support for Shkendije!